There’s nothing like a relaxing trip to get back into spirits, rejuvenate the soul and really de-stress. However did you know that thousands of trips every year go horribly sour? People get in accidents, both in their own country and in others. The reason that their trip goes sour however is because they don’t have travel insurance coverage. Skimping out on travel insurance is a lot like riding a motorcycle with a helmet – how long can you avoid almost certain failure? How are the health care premiums in the country you’re visiting? Will one trip to the hospital dwarf your overall expenses in comparison? How can you be sure nothing will happen? Who can predict the unknown? Will you be able to afford the proper coverage without insurance? Remember that insurance is all about covering yourself for the unknown, and all though it seems that every time you get insurance nothing happens – it’s like playing with fire. Soon or later we all get burned – “how bad?” is the real question. So don’t get burned, get travel insurance instead and you’ll have those burns healing and covered up before you know it. 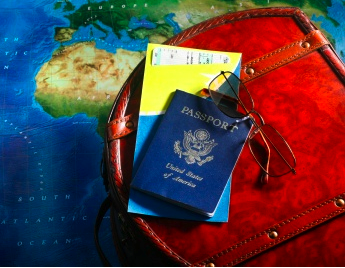 When should you have travel insurance? Vacations – if you’re going somewhere make sure that you’ve got travel insurance; this is good for your baggage, medical expenses and anything else which might come up. Work trip – some companies will cover you while others won’t. Make sure you either talk to your boss or to us about making sure that your trip goes as smoothly as possible. Cancellations – travel insurance will have you covered, whether your flight gets covered due to bad weather, terrorist threats or a multitude of other reasons with travel insurance you won’t have to worry. Over sea medicals – sometimes the accident is so bad that there’s no time to transport back to the original country. Will your spending money be enough to cover life threatening operations and surgeries? Travel insurance has got you covered. Air evacuations – Being prepared for the unknown is what insurance is all about. With travel insurance you’ll be ready for even the most bizarre instances such as air evacuations. With that being said, don’t skimp out on insurance. It will make all the different when disaster strikes and going without it can be disastrous all on its own. Click on a link below to get a free instant quote on Travel Insurance. Let’s talk about your possibilities and chances, we’ll work something out for you and your next trip will have both travel insurance and peace of mind.